The 12 Principles of Animation, as penned by Frank Thomas and Ollie Johnston in their timeless book, “The Illusion of Life”, are cornerstones of any animator’s skill set. Originally written for use in Disney’s earlier cell-animation days, the principles survive even in today’s landscape of 3D, puppet rigs, motion graphics, and all other computer aided animation. During my short stint as an adjunct professor teaching motion graphics, I created this video tutorial to summarize the 12 Principles to my students. I also demonstrate some of the principles through a simple bouncing ball tutorial, which you can follow along with. 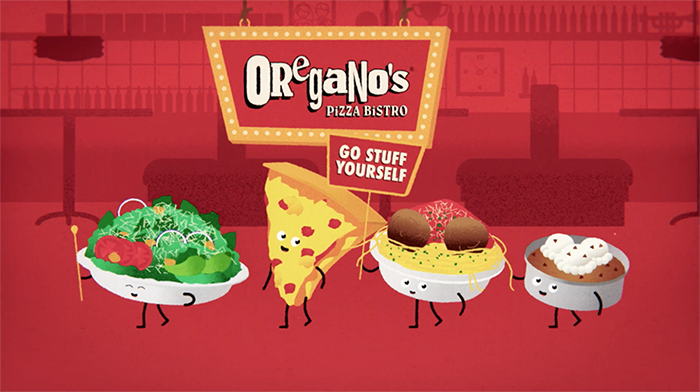 This video was created for beginners, but if you’re an experienced motion designer that hasn’t grappled with the 12 Principles yet, this would be a great jumping off point. In this video, I create a bouncing ball animation from scratch, testing and adjusting the animation as I go. I mumble a lot as I fiddle with the details, haha, but you get a behind the scenes look at the actual animation process, instead of a step by step recipe like many tutorials. Let me know if you like this “Straight Ahead” type of tutorial, or prefer a more formal “Pose-to-Pose” type structure. Squash and stretch gives the sense of mass to an object. The world is not made of solid wood, but also soft, squishy, and jiggly things as well. The bouncing ball is a great example of this in action. Anticipation prepares an audience for an upcoming action. Consider a golfer winding up to swing his club. The wind up prepares the audience for the primary action. Similar to staging in theater, this principle’s purpose is to make “the presentation of any idea so that it is completely and unmistakably clear”, according to Johnston and Thomas. In other words, compose your scene so that your audience can easily focus on what you’re trying to show them. These are two different approaches to creating an animated sequence. Straight ahead is the method of drawing an animated sequence starting from frame 1, and drawing each frame sequentially until you reach the end. Pose-to-Pose is the method of creating key drawings to time out a scene, then drawing the in-between’s to fill in the rest. Each method has its own characteristics. Straight Ahead tends to create more fluid and dynamic animations, and Pose-to-Pose offers more control over timing and spacing. A combination is often used in every production. Pose-to-Pose will be more familiar to computer artists, who are used to setting keyframes in After Effects or Cinema 4D while the software creates the in-between’s for you. Keeping the two methods in mind may help you approach a challenging animation by thinking of it differently, even though they were primarily conceived for drawing animation. These closely related techniques help create more realistic movement by adjusting the timing and inertia of mass attached to the primary action. “Follow Through” means parts of the body should continue moving even though the character may have stopped, like hair or jewelery. “Overlapping Action” is the tendency of body parts to move at different rates. A character’s arms may not swing at the exact time they take a step, for example. When you’re driving a car, and you press the gas pedal, do you go from 0-60 in a tenth of a second? Just like in a car, animated objects take time to speed up and slow down. 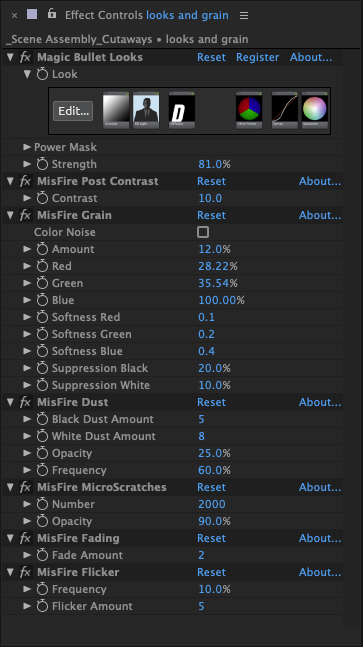 In After Effects, changing a linear keyframe to an easy-ease is a basic example of this in action. Natural movement doesn’t tend to move in straight lines, but rather in arcs. Unless you’re animating a machine, try to give a little arc to your movements to give a bit of new energy to them. A Secondary Action is a movement that helps support the main action. For example, a character may be walking down a street, and the secondary action could be them using a yo-yo. The main point of a Secondary Action is to add more details in order to support the main action. If they distract from the main action, they are better left out. Timing is the numbers of drawings (or frames) between two key poses. On a basic level, fewer frames creates a faster action, and more frames creates a slower one. Animated motion has a strange tendency to look slow or dull if drawn true to life. Exaggeration is used to present a “wilder, more extreme” form of reality to the viewer. Animators also need to be skilled artists. The principle of Solid Drawing means taking into account 3D space when illustrating and animating a scene. For classical animators, this means becoming skilled at life drawing and perspective, in order to prevent shapes from morphing and sliding mid-animation. For 3D and other computer animators, strong art foundations are still important, but less critical. Actors have charisma, and animations have Appeal. The design of a character should be interesting for the audience to look at. 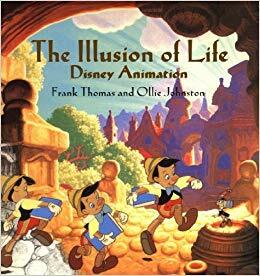 I’ve only summarized and paraphrased what Frank and Ollie have said in their book, and I highly recommend it to anyone with an interest in animation. Besides the 12 Principles, there’s a plethora of good advice and interesting history of Disney Animation. Here’s where to buy it on Amazon.